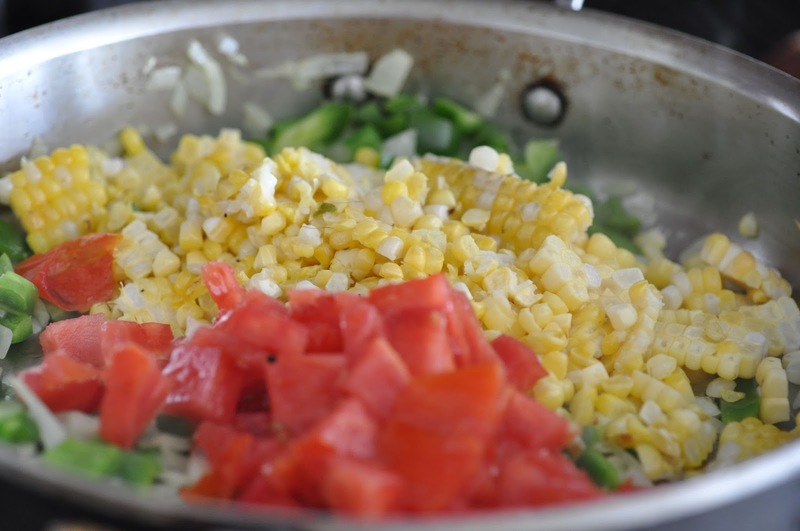 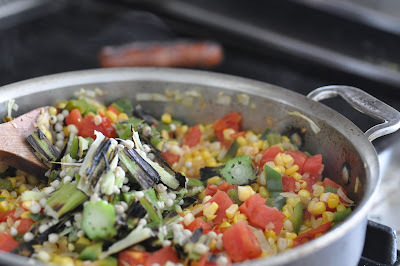 A maque choux (pronounced mok shu) is a S. Louisiana Cajun dish that honors two cultures, Acadian French and Native Americans, made with sautéed summer corn, tomatoes, green bell and jalapeño peppers, onion, and garlic and typically finished with a touch of cream and a dash of Tabasco sauce. 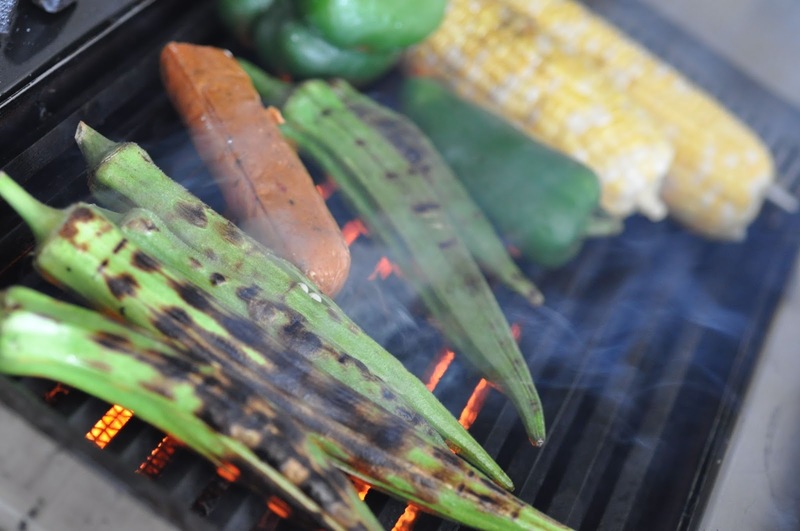 Grilling the vegetables first gives them a smoky flavor (and keeps the okra from becoming slimy) -- grill long enough for grill marks before adding them to the saute pan. 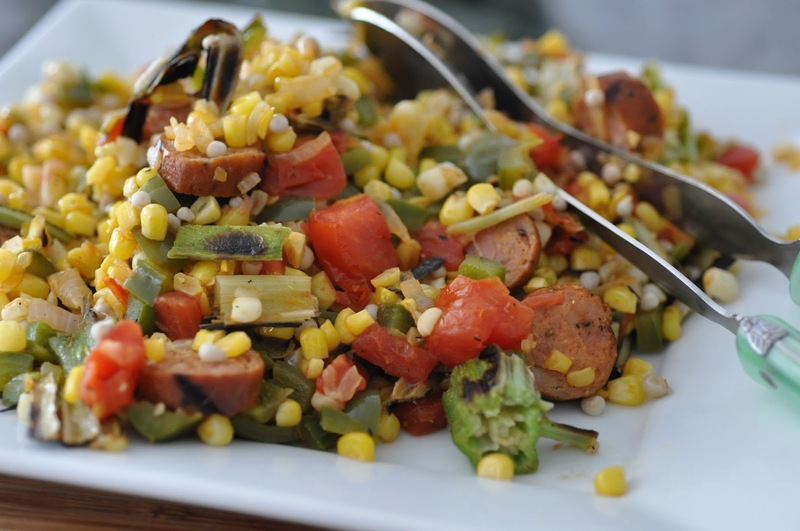 A link of grilled andouille sausage on top of the maque choux provides for a full and spicy meal. 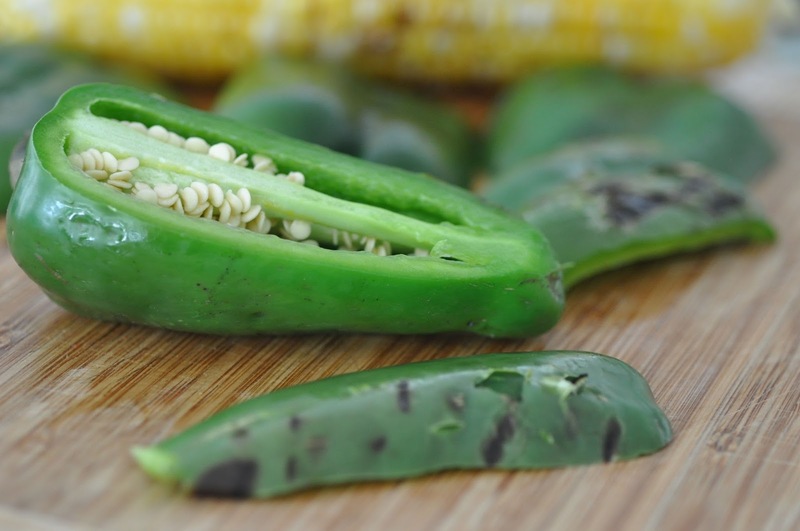 No Tabasco (or cream) required. 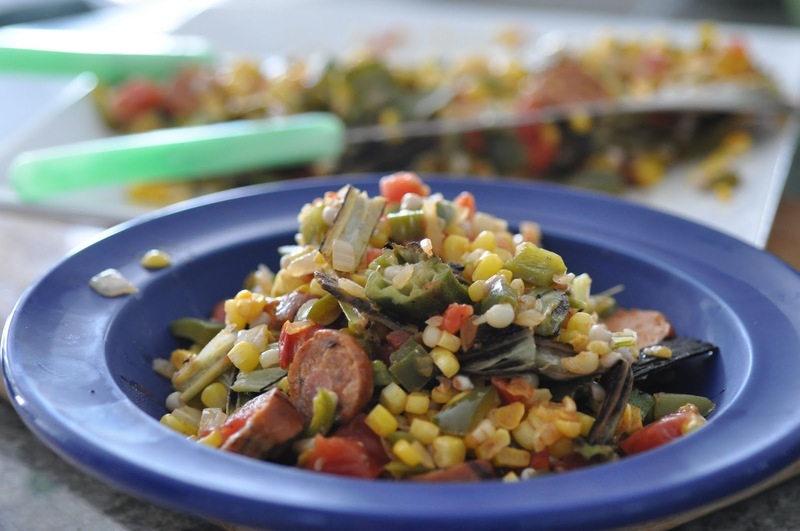 Note: If you're not using spicy sausage, then add 2-3 drops of Tabasco sauce, a Louisiana favorite).